In the musician own words, Marçal dos Campos is a solo project dedicated to the «representation of music». Words like «Cathartic Easylistening», «Sentimental Voiceless Karaoke» or «Melancholic MIDI» are the author’s own attempts to find a designation that might frame his sound approach. His working process consists simply in the «materialization» of a constant mental hum, using a relatively accessible music software. MdC has been preparing a new record for the last two years, still without a release date. Marçal dos Campos is the alter ego of the visual artist João Marçal (Santarém, 1980), under which he develops a project of electronic music since 2005. His first album is the EP «New Emotion», published by Ástato-CDR and presented at Passos Manuel (Oporto), June 2006. Over the past years he self-published 8 records, produced over 60 songs (originals and covers) and performed live in cities such as Lisbon, Oporto, Berlin or Barcelos. 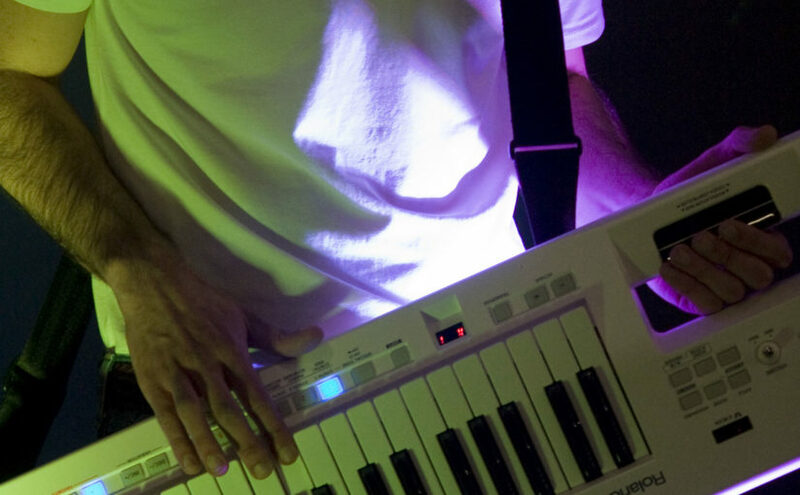 The project occasionally includes a live guest musician, Paulo Cunha Martins, on bass guitar and keyboard. Whenever this happens, the project is then called: Marçal dos Campos & The Group Show.